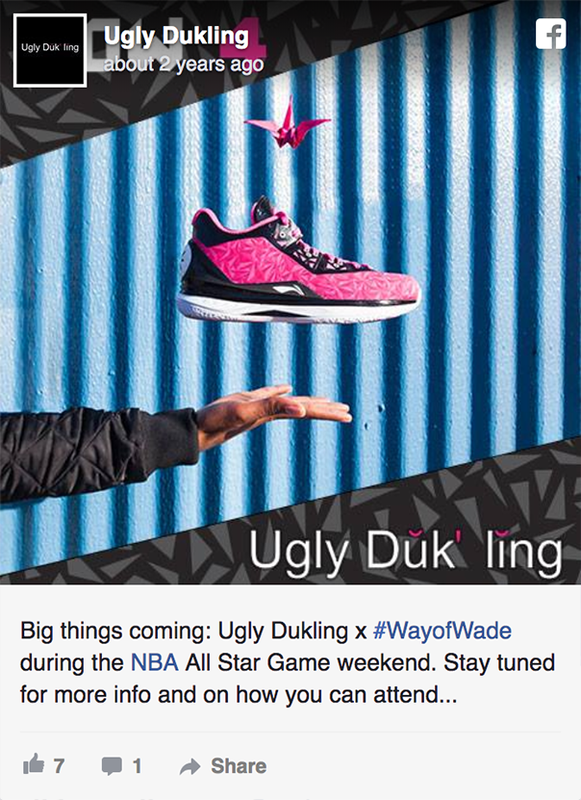 On February 12th, 2016, NBA All-Star and Miami Heat shooting guard Dwyane Wade introduced his Way of Wade WOW4 line, and the limited edition “All Star shoe” exclusively to Ugly Dukling. 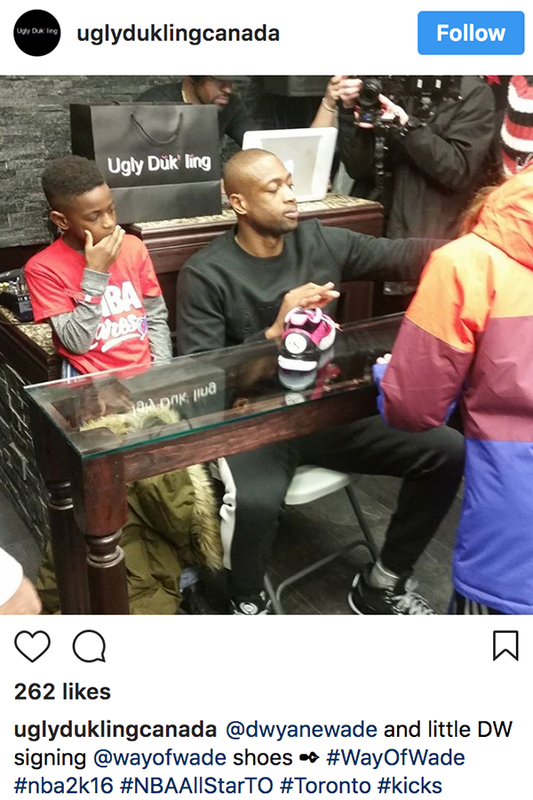 We were hired by Ugly Dukling to promote the event on social media for a 2-week lead up, and to live post event coverage during the Way of Wade WOW4 launch in their downtown Toronto location. During the 2 weeks that we managed the Ugly Dukling Facebook, Twitter, and Instagram accounts, we curated, created, and posted tailored content that received tons of engagement and even recognition from some big nams like the Miami Heat and fellow basketball players! From celebrity junkies ⭐ and sports fanatics ?, to fashionistas ? and the media ?, we captured the attention of #The6ix for this huge, exclusive launch. Throughout the event, we tweeted photos and videos, while responding to fans who couldn’t make it and handling the crowd who was getting rowdy outside! ?